287 Million Illiterate Adults in India. It’s not a pretty statistic and you may not think it’s your problem but here’s why we should all care about literacy and education here in Canada, over there in India and all the places in between. The first step for the people of India to have social and economic prosperity is to solve the problems behind illiteracy. With the largest population of illiterate adults (by about 5 times – after China with 54 million) India is facing grave challenges that stem from the issues surrounding education and literacy. As we prepare to head to Gwalior to build our Tribe of Lambs library with our friends at Gramiksha, we can’t help but truly consider the impact this issue has on the people of India and abroad. Caste inequality, religious beliefs, income imbalance, rural/urban divide, technological barriers, geographical complications, non existent preschool programs and absolute poverty deter children and families from placing high value on education over basic necessities. Sensing this paramount importance of education in the life of any citizen, the government of India passed ‘the Rights of Children to Free and Compulsory Education Act’ in 2009. 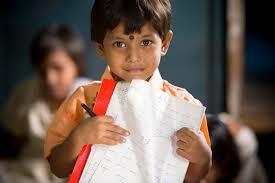 It professed that every Indian child aged between 6 and 14 years is entitled to free, quality schooling. But still India lags. Ethnic, religious, gendered, regional and social lines must be addressed before India’s long-time dream of education for all can become a reality. While many initiatives and programs have been introduced through government and NGO’s, there is still much work to be done for a prosperous future. It is exciting for us to partner with an organization such as Gramiksha who are “building the India of their dreams” with their highest focus and efforts on equal education for all Indian children. They are the sole reason and inspiration behind our 4th Compassion Project – Lambs for Literacy! The volunteers recognize that education is the route out of generational poverty; paving the way to better jobs, a better income, and a better way of life for their whole communities. 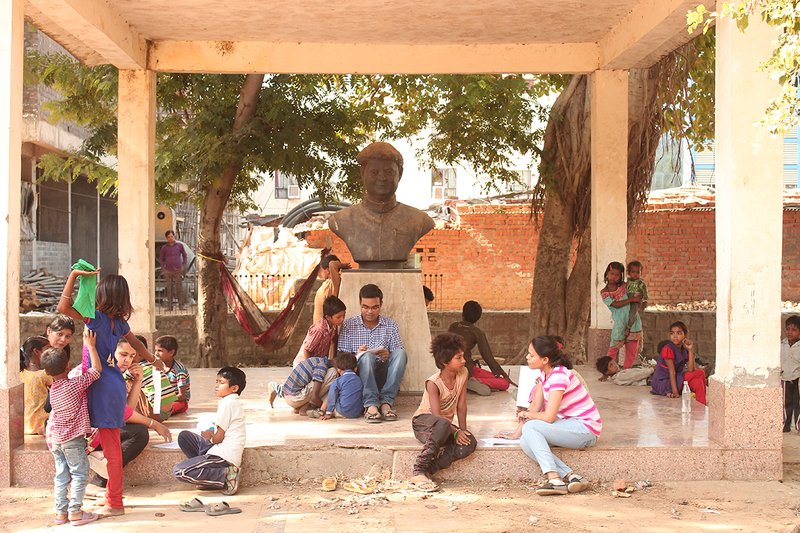 Our friends at Gramiksha working towards literacy and education in their communities. We invite you to contribute to our Lambs for Literacy Project! This project is due to be completed February 1st 2016, we look forward to sharing the journey with you! If you aren’t available to donate with paypal please reach out to us at sayhello@tribeoflambs.com for alternative methods to support our project. (1) Basu, Kaushik (29 November 2004). "Educating India". Source: Scribd. (2) "Global campaign for education- more teachers needed". Source: UNICEF India.